Real Climate: Climate Scientists' Blog. The Heat Is Online news links. United Nations Intergovernmental Panel on Climate Change. Climate Science Watch: a government watchdog. NASA Jet Propulsion Laboratory/California Institute of Technology"Climate Time Machine", 2008. (This shows allows viewers to move a slider bar for time changes to see changes in sea ice, co2 emissions, sea level and avergae global temperature). "All you ever wanted to know about Global Warming: Frequently Asked Questions" - Introduction to global warming, from New Scientist magazine. Includes theories about positive and negative feedbacks. Argentinian Foundation for a Scientific Ecology: Observed World Temperature Trends. Asia Pacific Network on Climate Change - A clearing house for climate change issues sponsored by the Japanese Ministry of the Environment. Highlighting articles, conference schedules, and related resources. Bush's CO2 Emissions Flip-Flop - Cartoons about President Bush's reversal of stance on carbon dioxide emissions. California Global Warming Campaign - Useful and timely information about climate change and California. "Civilization: Use It or Lose It" - Audio conversation with William Calvin about rapid global climate changes. Includes related links. Climate & Global Change, NASA. Climate Action Network Australia - Non-profit environmental group dedicated to fighting climate change and finding solutions to the problem. Includes news and current programs. Climate Action Network South Asia - A global network of over Non-Governmental Organizations working to promote government and individual action to limit human induced climate change to ecologically sustainable levels. Climate and Ecosystem Change Adaptation Research - University network developing research and postgraduate programmes/training on climate change, ecosystem change, and adaptation. Climate Change - An overview of climate change, theories and perspectives, and notable weather patterns. Climate Change, World Bank Group. Climate Change: a summary of the IPCC Fourth Assessment Report, GreenFacts.org. Climate Change and Sustainable Transport - Challenge is the integration of climate policy objectives into other sectoral policy areas such as transport, energy and agriculture. Climate Change Debate - Climate change and global warming science, government policy, energy technology, cost and benefits debated via an unmoderated, uncensored listserve, plus research aides. Climate Change Levy - Broad summary of the new carbon tax imposed on the citizens and business of the United Kingdom, with descriptions of the business and global impact. "Climate Change on the Web" - MSNBC. Climate Change Research at WRI - WRI identifies opportunities to reduce the risk of global climate change in ways that drive sustainable economic development worldwide. Climate Policy - An Elsevier journal which aims to address the broad spectrum of policy issues raised by the prospect of changes in the global climate. Includes articles, extracts, information on authors and bibliographies. Datum-Line - Examines coastal erosion, artificial reef, sea defence, coastal and inland flooding, rising sea levels, global warming, marine tyre structures and designs. "Destructive Storms Drive Insurance Losses Up: Will Taxpayers Have to Bail Out Insurance Industry?" - Scientists now believe that rising global temperatures may exacerbate extreme weather events, leading to increased damages in the decades ahead. The Discovery of Global Warming - A quarter-million words on why scientists know that the climate is changing, and how they know that we humans are the main cause. Earth's Magnetic Field And How It Reverses - White papers on the earth's magnetic field and global warming by Eugene D. Richards. "Earth's Unruly Tenant" - An essay by Jane Lubchenco about climate change and public perceptions of environmental issues. Environmental News Network, Special Reports. Environmental Protection Agency Global Warming Site - Focuses on the science and impacts of global warming or climate change, and on actions by governments, corporations, and individuals that help address global warming issues. The site also features climate change related news, events, publications, reports, presentations, and links to other sites. Global Warming - Resource Center: Links Database. 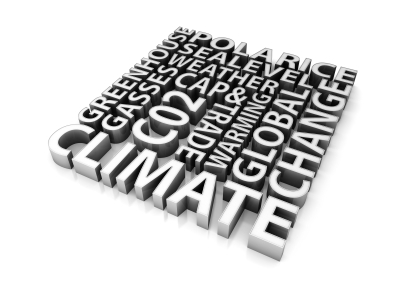 FAQ About the Politics of Global Warming - FAQ arising from the Kyoto Summit. Federal Department of the Environment, Netherlands. FluorideAlert.org: "Potent and Rare Greenhouse Gas Identified" - Article on rising concentrations of a newly identified synthetic fluoride that traps heat more effectively than all other known greenhouse gases. Friends of the Earth, UK. Global Climate Change, BBC News: An analysis of the science and other issues behind the climate change debate, from BBC News Online. Global Climate Change: Market-Based Strategies to Reduce Greenhouse Gases - A review of market based initiatives to combat global warming, including tradeable permits and carbon taxes. Global Change Master Directory at the Goddard Space Flight Center. "Global Warming" - An in-depth report on the scientific, social, economic, and political issues surrounding climate change. "Global Warming" - Article by A. E. Brain discussing how cyclic climatic changes are indicated, and the possible causes and historical effects. Global Warming - Discussing facts about global warming, basic steps to take to stop its progress, and links to other pages on climate change. Global Warming: An Issue for Humanity - Paper on the human consequences of global warming. "Global Warming: Early Warning Signs" - climatehotmap.org. Global Warming FAQ - a useful compendium of various global warming questions along with links to the research underlying the answers put forward. GLOBE - Global Learning and Observations to Benefit the Environment (GLOBE) is a worldwide network of students, teachers, and scientists working together to study and understand the global environment. "Many scientists believe runaway greenhouse effect possible!!" - A Greenpeace poll (in 1992) shows that a worryingly high proportion of climate scientists believe it possible that continuing emissions of greenhouse gases can awaken synergistic feedbacks capable of generating a runaway greenhouse effect. Heating Efficiencies and Greenhouse - A tabled comparison between different ways of home heating, and their individual effects on greenhouse gases and environmental decline. Hot Air the Canadian Debate on Kyoto - Issues surrounding the Kyoto Accord and its effect on Canadian citizens. *Humanity in the Hothouse - Christian Science Monitor mini-site, including reports from Nov. 2000's Hague conference on climate change and links to other sources. Interfaith Climate Change Network - Describes ways individuals and congregations can act on the issues of climate change and energy use. Joint project of the National Council of the Churches of Christ in the USA and the Coalition on the Environment and Jewish Life. International Climate Change Partnership - Global coalition of companies and trade associations committed to constructive and responsible participation in the international policy process concerning global climate change. Includes objectives, a list of members, and literature. Life Cycle Analysis Blogspot - Don Thieme, geologist, archaeologist, and college science teacher, on environmental change, archaeology, and human interaction with the environment. My Kyoto - Canadian organization showing how to make a measurable and lasting difference to reduce global climate change. Natcom India - Information about greenhouse gas emissions, inventory estimations, vulnerability assessments, and adapting to global climate changes from the Ministry of Environment and Forest, Government of India. OneWorld: Climate Change Campaign - Includes news, archives and articles on this topic. Plant Trees to Reduce Global Warming - Calculations of carbon dioxide emissions are offered for various modes of travel and energy use (1 tree per 1000 kilowatt-hours, for example). Proposals to Reforest the Earth - A series of white papers on deforestation and the need to reverse this destructive process, by Gabriel Penno Saraiva. "Responding to Climate Change" - Practical guide to support the United Nations Framework Convention on Climate Change and the Kyoto Protocol. Profiles the business community's response with services and resources for greenhouse gas mitigation. Rising Waters - Companion web site to the documentary "Rising Waters", which includes personal stories of Pacific Islanders and puts a human face on the international climate change debate. Includes archives, stories, white papers and information on filmmakers. "Still Waiting for Greenhouse: A lukewarm view of global warming". Stormy Weather: 101 Solutions to Global Climate Change - Companion site to the book of the same name. Offers information on climate change, and tips for individuals, companies, municipilaties, governments and developing nations to counter this issue. "The Great Climate Flip-flop. Could Global Warming lead to Global Cooling? Warming could lead, paradoxically, to drastic cooling—a catastrophe that could threaten the survival of civilization," Atlantic Monthly, January 1998. Woods Hole Oceanographic Institution, Ocean and Climate Change Institute. WorldWatch Institute: Almanac of Policy Issues: Global Warming - News, background information and links on global warming, climate change, and the 1997 Kyoto Protocol. World Wildlife Fund Study - A recent study released by the World Wildlife Fund alleges that rising sea levels caused by man-made global warming may flood low-lying coastal cities like New York, Boston, Baltimore, and Miami. Environmental Protection Agency: Global Warming. IUCN World Conservation Climate Change Initiative. NASA: Global Change Master Directory. National Center for Policy Analysis: Idea House. Pew Center on Global Climate Change. Rocky Mountain Center: Climate Change. UNIDO: Climate Change/Kyoto Protocol Activities. U.S. Department of State, Climate Change. U.S. Global Change Research Project. White House Fact Sheet on Climate Change, July 1, 2002. This page was last edited on 11 January 2012, at 05:53.